Roof vents are an essential yet often under appreciated aspect to the operations of one’s roof. It is one of the main reasons why we often refer to your overhead structure as a roofing “system,” because there are many parts that make it work the way it should. This function is often the most active feature to your roof and is made of different material from the rest of your home, and we are the professionals to properly take care of this vital performance. Call 937-681-8910 for roof vents and a free estimate. We keep the air moving during our hottest months. It is easy to overlook the necessary function roof vents perform for your home: they are a location of your house that you rarely if ever visit, and if they are doing their job, then there is no reason to think about them. But are they doing their job to their fullest? Are your home’s vents in decent condition, and could there be other vents that do this job more efficiently? Before you answer those questions, it is important to understand why roof vents are there to begin with. How essential are roof vents? 150 degrees: If you are like us, you have a bit of a weather-geek inside of you. You see the temperatures in northeast Florida and throughout the rest of the south. During the summer it is usually at least in the mid-90s, but you know the real temperature varies in different environments. The heat on the highway that your car’s air-conditioning struggles against versus your lunch break underneath a tree at a picnic table are quite different. And, of course, let’s not forget about the humidity. Your roof faces this heat every single day for nearly six months. As seasoned roofing technicians for many, many years, we know the vital role that roof vents play. Attics routinely meet and exceed temperatures of 150 degrees throughout the summer months, but improved ventilation can handily decrees those numbers and relieve your hard-working air-conditioning system. 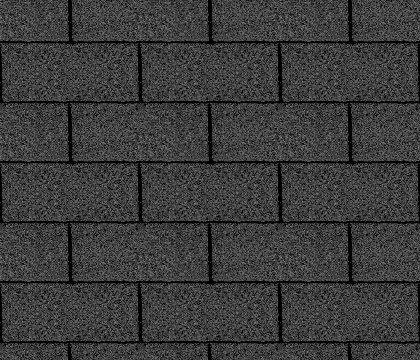 Shingle relief: Asphalt shingles are designed and expected to withstand these mightily hot temperatures. However, what is good for one aspect of your roof is good for the rest, and a less steamy attic is a relief to your home’s shingles. It is simple: an overheated roof deck is more liable to occur with hotter attics, increasing stress on those rugged shingles. Instead of lasting 10 to 15 years, an asphalt shingle roof may last longer with a more gently-cooled attic made possible via improved roof vents. Moisture: Despite the effective use of vapor barriers to keep water from entering the attic through vents, moisture is a ubiquitous feature to life everywhere, especially Centerville and our surrounding communities. Bathroom exhaust fans, ceiling light fixtures, access panels and fold-down attic stairway are all other factors that can and often do allow moisture in. Of course, you can imagine what extreme heat and increased moisture can yield to that buffer zone between you and the elements – the attic – mildew and mold. If you are nimble enough to inspect the condition of your attic and overall roof area, you’ll want to check for signs of wear and tear. Are those spiky nails from your rooftop penetrating your attic still in good condition, or are they getting rusty? If you are up there, be careful! Attics are not meant to be lived in. Our courteous team of craftsmen is happy to inspect your roof and attic.